If you have any questions regarding your holiday then check out our FAQs. We are glad to be to be able to offer guidance and help you out to make sure your holiday is hassle-free. For flight related FAQS please see below. What does my flight number mean? How can I find my flight number? What does chartered flight mean? What does scheduled flight mean? What does outbound flight mean? What does return flight mean? Can I track flight departures and arrivals? A: Every flight that departs from an airport has a unique flight number. This will be sent to you on your booking confirmation you can also find your flight number on your boarding-pass. A flight number is usually made up of numbers and letters usually prefaced with the airlines two-letter International Air Transport Association (IATA) code. A: As well as allowing you to find your gate at an airport, your flight number can tells many different things. There are of course exceptions to every rule, but it has been said that normally, eastbound flights are given even numbers; westbound flights get odd numbers. In addition, airlines often give lower, single or double-digit numbers to their more prestigious long-distance routes. A: Your flight number will be sent to you with your booking confirmation. It will also be on your boarding-pass. 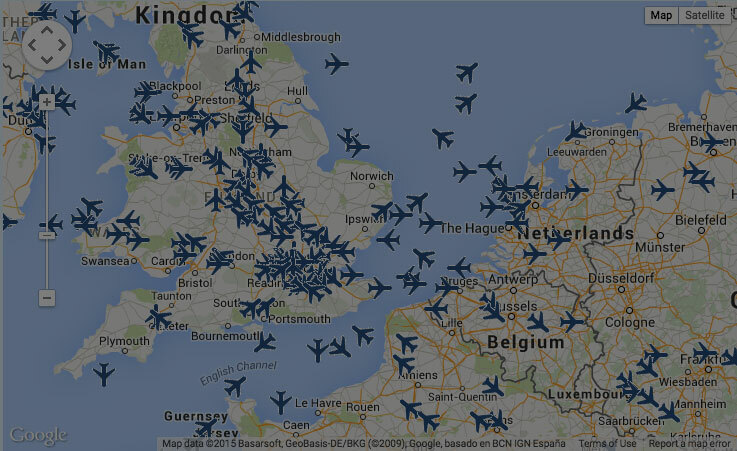 Alternatively you can use our flight tracker above to find all of your flight details. A: A charter flight is an airline that has been leased for a particular route. Charter flights differ from scheduled flights in that they are never booked directly with the airline, and are instead booked through a third party provider such as a tour operator or travel agency. A: A scheduled flight is operated by planes that are scheduled to fly a specific route, at a particular time on a regular basis, be it daily, weekly, etc. A scheduled flight will fly with only passenger on board and theoretically with none on board. A: Your outbound flight can be considered as the first leg of your journey. Its the flight that departs from your home country, and your inbound flight is the flight that brings you home. A: A return flight means you have booked both legs of a journey, an outbound and inbound. A: Yes you can. Its handy to be able to check the status of a flight, whether it is for yourself or to aid the collection of friends or family. Live flight details are available using our map above and a list of all daily departures are available by clicking on the links below. Almost every airline encourages online check-in, we have saved you time of jumping from one site to another by providing you with your airlines online check-in link from our flight tracker page. It's important to be 100% sure of your flight information. Arriving at the airport late, or too early for that matter, isnt anybodys idea of fun. With our live flight tracker you can keep a close eye on your specific flight status. Not only can you use our tracker to search for an upcoming flight but you can also follow the progress of a live flight as it crosses the skies. Click on the plane to find out more information. Our 'Search Once' function above will guide you through to find the details of your trip. The flight tracker is designed to save you time, one simple search is all it takes to find all the information you could possibly need. A simple check of your flight information saves the inconvenience and horror of instances such as; arriving at the wrong airport terminal, turning up at check-in only to find you have a significant delay, or worse...missing your flight. Hiccups such as these are easily avoided with the Holiday Extras quick and easy flight tracker. The flight tracker includes accurate and up-to-date flight information. Not only does it provide you with vital details such as which terminal you depart from, your outward and return flight times, including the arrival time at your destination, but also useful information such as; duration, recommended check-in time and baggage allowances. With all this information at your fingertips, you can easily plan the perfect, hassle-free holiday. We will show you the live and accurate schedule details of your flight. Check this before travelling to the airport to make sure your flight times haven't altered and there are no delays or cancellations. Let's face it, the weather is a fairly vital element of your holiday. Whether you're escaping the rain for sunnier climes or you're off skiing, knowing what the weather forecast is will help you pack as well as fuel the pre-holiday excitement. Our directions finder is just another way we help to make your life a little bit easier. Enter your postcode to get simple, easy-to-follow directions from your house, directly to the airport. Whether you are a seasoned-pro or a packing novice, it always helps to have a comprehensive packing list to hand to ensure you dont forget anything in your pre-holiday excitement. The packing list included in our flight tracker will help you choose wisely for your travels, no matter where your destination might be. It details everything from essential travel items to your toiletries, hand luggage must-haves to your clothes and shoes. You will never leave for the airport with the common - what have I forgotten? - question hanging over your head again. Its becoming far too common for people to wait until they get to the airport to change their money. You will get a much better rate if you order it in advance and whats more it can be delivered to your door. The Holiday Extras flight tracker provides a link that will allow you to check the exchange rate for the currency of your chosen destination, order it online with our 100% secure payment and have it delivered direct to your door with the 100% secure delivery service. Knowing whether you need to have a visa for the country you are travelling to can often be unnecessarily confusing. Instead of just providing you with a simple yes or no answer, many sites bombard you with pages of information that you have to trawl through before finding your answer. Holiday Extras will give you a simple yes or no in our flight tracker results. If the answer is yes, we provide you with a link for an excellent service that will supply you with the visa you need. It really is that easy! Having a packing list is one thing, but without knowing your baggage allowance and up-to-date restrictions, you have no idea just how many pairs of shoes you can take or whether your bottle of aftershave is going to make it past security. We detail your chosen airlines baggage allowance as well as items that are prohibited on your flight so you will have peace of mind that your cases are packed as they should be. If you still have post-it notes laying around reminding you of those last few minute things you've forgotten to buy...fear not, we have that covered too. From the hottest books on the shelf to the all important travel adapters, we have it all readily available for you to have sent straight to your door at excellent, low prices, especially compared to what you will pay at the airport.